Local Records Office is an organization that specializes in providing property profile reports to individuals who are looking to learn more about a given real estate asset in Los Angeles, CA. Whether they are interested in buying a property, selling a house, or simply getting more details about a certain location, these reports help individuals to make educated decisions regarding their real estate assets based upon property value, local demographics, community criminal activity, foreclosure activity, area demographics, and more. The professionals at this organization leverage partnerships with federal and county government offices to collect the necessary information. Afterward, a compile the details into a comprehensive, easy to use report. Watch videos here. The real estate industry has a reputation for being stressful for many reasons. 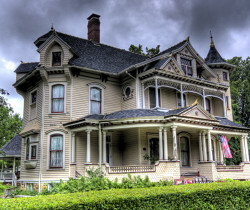 One of them is that individuals do not know what to expect in terms of home value. Television shows on HGTV, that showcase how different buyer expectations are when compared with the reality of what a home is worth. As such, the professionals at Local Records Office encourage individuals to learn about the neighborhoods in which they are interested so that they can understand why the properties in the area are priced as they are. Helping to make certain they are asking or offering a fair price for a specific real estate asset. Families and individuals who are looking to purchase a home are benefitting from the service that Local Records Office provides. 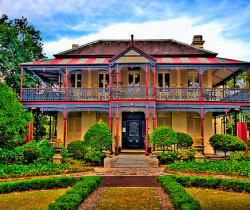 Homeowners understand the importance of researching a community before investing in a property. Some communities may appear safe and friendly but the statistics can paint a very different picture. Some families move into a new home with plans to start a family. Researching the neighborhood will help future parents ensure that their children can safely enjoy the community as they grow. Homebuyers find that it’s very easy to use this service. They simply provide Local Records Office with the address of the property that they are interested in, finalize their payment, and then review the informative report as they make a decision on a new home. Local Records Office arranges documents that are key for both buyers and sellers in the real estate game. These reports provide information regarding a variety of details concerning a particular address, including criminal activity, transaction history, local demographics, educational opportunities, neighborhood foreclosure activity, and more. As such, this report plays a key role in preparations to buy or sell a house. Article published by the LA Times, current sellers market that is experienced in SoCal requires buyers to be prepared. Sellers must use information that’s available to pinpoint the right asking price in order to maximize their profits. 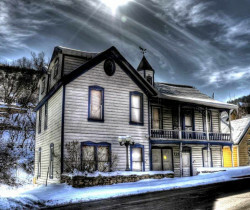 However, minimizing the odds that too steep a price will scare off potential buyers. These are some of the changes that take place since the market shifted to a more seller-friendly environment. Local Records Office understand that the issue of property ownership is much more complex than possession or even who holds a deed or title. Because there are so many different rights that are bestowed within these legal documents, it is important that homeowners understand exactly what they are entitled to with regard to their real estate assets. Article published by NPR explains ‘air rights’ or the right to the air directly above a property. Here, a representative from LRO shares the story and encourages homeowners to learn more about their rights via a report. While most homeowners do not think twice about this particular aspect of ownership, it is an issue that arises when individuals look to add a story to their homes or construct taller buildings on their properties. Additionally, the article explains, selling air rights has become a simple way for homeowners to make money on their existing properties. 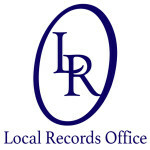 Read more about Local Records Office here.